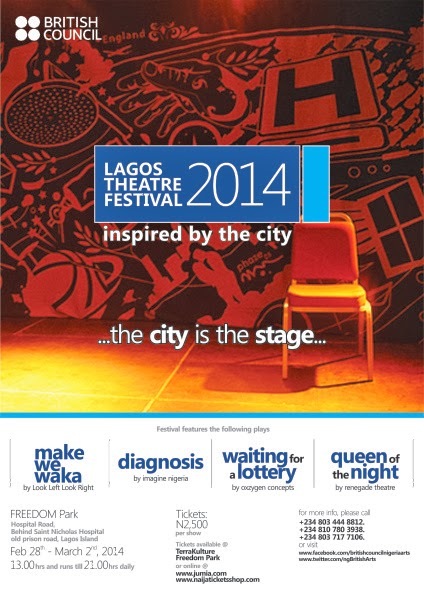 British Council Nigeria presents the largest ever outdoor theatre festival at the Lagos Theatre Festival 2014. The event will be three days of part theatrical experience, part real life and part city journey. The festival aims to transform the historic Freedom Park, a public space born out of the ruins of a colonial prison and reconstructed to preserve the history and cultural heritage of Nigeria. At this festival, theater will be in non theatrical/ unconventional spaces.